Many mobile review on Samsung Galaxy S8 plus have been done without looking at the good and bad of the Smartphone. In this post will discuss the problem of Samsung Galaxy S8 according to user review. Galaxy S8 is one of the top mobile produced by Samsung so far. This phone is among the series of the company bestselling with some many features that makes it different from others in the market. 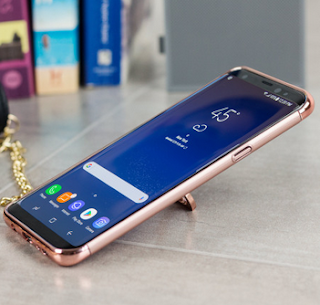 The following are the problems or bad of Samsung Galaxy S8 Plus according to user review. Yea many users of Galaxy S8 Plus have complained of wrong finger print sensor on various occasions. This is of the problems that this Smartphone is facing. Although the company is have worked on the new version of this phone making sure is resolved. 40 percent from database on user review said they encounter this problem when using the mobile. Stop hating on TouchWiz. It’s great software now. In conclusion, you have seen the good and bade of Sumsung Galaxy S8 Plus. The choice is your.